California is a proper noun. 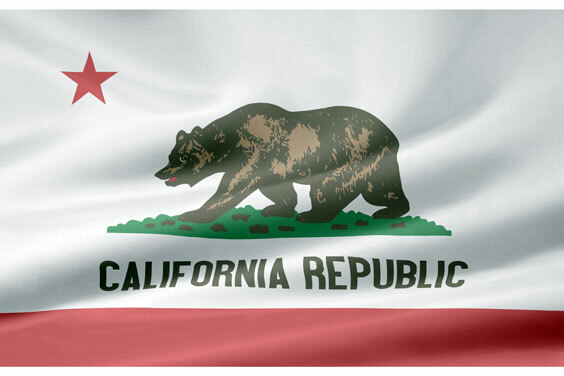 California is (1) a state in the western United States on the Pacific; the 3rd largest state; known for earthquakes. The following articles provide more information about the proper noun California. Learn about rural, suburban, and urban real estate markets in California. Real estate agents, buyers, and sellers will appreciate the California real estate resources on this page. California state history, geography, and travel information are the subjects of this California atlas page. UC Irvine, located in Southern California, was founded in 1965. The school has approximately 25,000 students and 1,800 faculty members. The school has several interdisciplinary research Institutes such as the Center for the Study of Democracy and the Newkirk Center for Science and Society. UCSF became part of the California University system in 1873. It is the only UC campus dedicated exclusively to the health sciences. The school has professional programs in dentistry, medicine, nursing, and pharmacy. There is also a PhD program, the UCSF Medical Center, UCSF Children's Hospital, and Langley Porter Psychiatric Institute. The school has almost 3000 students and 1325 residents. This National Park directory page lists National Parks, Historic Landmarks, and Natural Landmarks in the State of California. An interactive California map, plus photos and highlights, are included thereon. UCSB was established in 1944. The school has a faculty of 1080, five of whom are Nobel prize winners. UCSB is known as one of the hottest schools according to Newsweek Magazine. Besides the school of arts and sciences, UCSB has a College of Creative Studies, an engineering school, an education school, and an environmental science program. There is also a UCBS Washington Center. The City of Santa Barbara is located 90 miles west-northwest of Los Angeles on a south-facing section of coastline between the Pacific Ocean and the Santa Ynez mountains. Santa Barbara's Mediterranean climate makes it a popular destination for tourists. Interactive map of San Francisco, California plus information about the geography, history, culture, and tourist attractions of San Francisco. Interactive map of San Jose, California plus information about the geography, history, culture, and tourist attractions of San Jose. The following articles provide recent California-related news. Fox News. Thursday, 18 Apr 2019 23:59:51 GMT. Soumya Karlamangla. Los Angeles Times. Thursday, 18 Apr 2019 15:00:00 PDT. ABC News. Thursday, 18 Apr 2019 17:51:59 -0400. Science Daily. Thursday, 18 Apr 2019 14:52:29 EDT. Live Science. Thursday, 18 Apr 2019 06:29:00 EDT. Zack Budryk. The Hill. Wednesday, 17 Apr 2019 17:06:49 +0000. CBS News. Wednesday, 17 Apr 2019 10:29:59 +0000. By Patrick Gleason, Contributor. Forbes. Wednesday, 17 Apr 2019 01:52:00 +0000. The following digital image illustrates the proper noun California.